I have two this week :). From bestselling, Printz Award-winning author Libba Bray comes the story of a plane of beauty pageant contestants that crashes on a desert island. Teen beauty queens. A Lost-like island. Mysteries and dangers. No access to email. And the spirit of fierce, feral competition that lives underground in girls, a savage brutality that can only be revealed by a journey into the heart of non-exfoliated darkness. Oh, the horror, the horror! Only funnier. With evening gowns. And a body count. 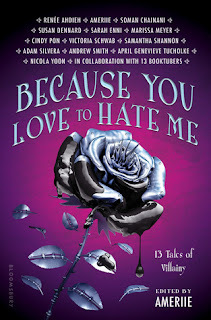 -I discovered Libba Bray's work over Winter Break and pretty much love anything she writes. Plus, from what I've seen, Beauty Queens has gotten great reviews all around. 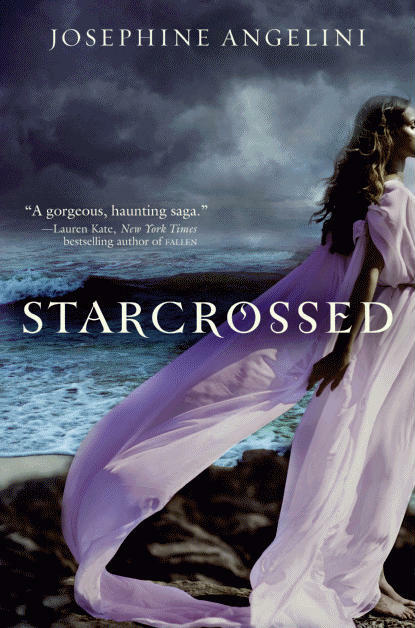 Cannot wait to read Starcrossed! And Beauty Queens sounds very intriguing. Especially since I JUST started watching Lost. I'm on Season 2 now. I've never read anything by Libba Bray. That may have to change as I know her last series has been talked up so much. A great choices, I am looking forward to Starcrossed as well. I cannot wait for wither of these. They both sound amazing. Great picks! LIBBA! I just love her and I can't wait for BEAUTY QUEENS! 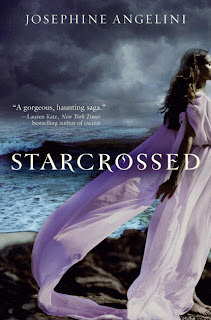 I got an ARC of Starcrossed this week, so super excited to start reading that one! Great picks! I SOSOSOS can't wait to read Starcrossed!! Wanna see what Paranormal Wastelands can't wait to get out sticky fingers on? So excited for Starcrossed. I'm pretty sure it's going to be amazing. Beauty Queen intrigues me, thanks for sharing. I really loved Starcrossed! So good! I'm looking forward to reading Beauty Queens! Love the cover! Beauty Queens sounds so good, I can't wait! They both sound really great,I am anxious to read Starcrossed. Those are two great picks, definitely both on my to-read list! @Melissa - you just started LOST?! Ahh, it was such an amazing show! And when you get the time, you should read Bray's Gemma Doyle series :). @Christy & Brittney - you guys are lucky you've gotten to read Starcrossed already ;p.
@everybody else - thanks for stopping by! Am going to visit your blogs right after this comment posts :).